In March I had the opportunity to review a locket from PicturesOnGold.com who specialize in creating beautiful personalized jewellery to fit your tastes. PicturesOnGold.com creates the finest photo pendants and charms, gold lockets, silver lockets and other personalized Photo Jewelry in the industry. They create lasting photo lockets and photo jewelry keepsakes using only the finest 14k gold, white gold and sterling silver. You send them your photos and using their patented technology they laser engrave your pictures in color right on gold lockets, silver lockets, locket charms and most of their custom jewelry. The results are gorgeous gold lockets or silver photo lockets that open to reveal your photos and can be worn as a beautiful photo or picture locket. You can find them on Facebook or Twitter, head on over to their website to see the lockets and other jewelery offered. Be sure to you the discount code: Patty 33 to get a 5% discount at checkout. PicturesOnGold.com really came through and made my Mum’s day and just in time for Mother’s Day I am giving away a locket to one lucky reader in the US or Canada! The prize is a beautiful 2 photo Sterling Silver Heart Locket with a Birthstone on the Bale, along with an 18 inch Sterling Silver Box Chain. It is valued at $200.00. Entry is simple, fill in the Rafflecopter form below. Giveaway is open to US & Canada Residents 18+. All entries will be verified. Winner will be drawn on April 30th and has 48 hours to respond before another entry is chosen. Posh Mommy – Birthstones disks are beautiful. You could do a “family: disk too! There’s lots of beautiful pieces on their website but I really like the Posh Mommy Two Birthstones Disc Jewelry piece. OMG OMG OMG I want this: http://www.picturesongold.com/products/custom-racecar-pendant-number-p71691.html of course in 88!! JUNIOR!!! It is very unique and beautifu. Thank you. 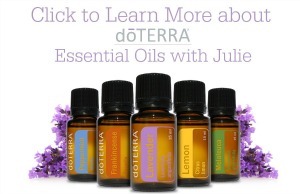 Such lovely things on their website. I particularly like the Thumbprint/Fingerprint jewelry. So unique! I especially love the Name Jewelry – “Script” Style Horizontal Name Plate w/ Diamond Accent. 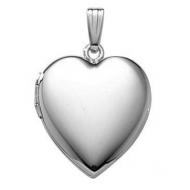 I think that the Platinum Heart Premium Weight & Genuine Diamond Locket is absolutely lovely. 14k White Gold “Locket and Key” Jewelry is really beatiful! The Posh Mommy Two Birthstones Disc. Home»Locket Jewelry»14k White Gold Lockets»2 Photo Lockets <—– absolutely GORGEOUS! Keepsake jewelry is lovely for somany occasions! Thankyou for your offerings. This is beautiful: First Holy Communion Scalloped Round Medal (Boy) “Color EXCLUSIVE” Jewelry. I like it in Yellow Gold. The 14K White Gold Heart Four Photo Locket Jewelry is gorgeous. I think that the Sterling Silver “MOM with Enamel Flower ” Heart Locket is beautiful. I love the White Gold Heart Four Photo Locket. 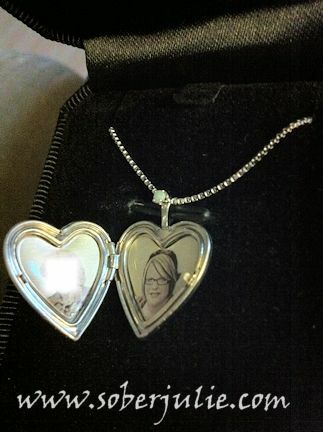 I have 4 little ones whose faces would look lovely in that locket. I just wanted to mention that I have recently discovered your blog and I love it. It’s so inspiring. I would love a locket for Mother’s Day. Thanks for sharing this. What a gorgeous piece. My favourite piece is the Sterling Silver Oval “Antique” Picture Locket. I’d love to have my baby boy’s picture in jewellery that beautiful. IREALLY LIKE the14k White Gold KEY Locket, Mom with Two Daughters Locket, Filled Cross Heart Locket, Gold Oval Mother & Child Cameo Locket JUST to name a few. Wow couild spend ALL night looking at them!!! I like the 18k Premium Weight White Gold Heart Picture w/ 7pt. Diamond Locket. I was very pleasantly surprised with an email today stating that I was the winner. Thanks again for the opportunity. No problem, so glad you were contacted! !